At Lowell Animal Hospital, we understand that your canine companion is not just a pet, but that he or she is a beloved, cherished family member. The mutual bond of love and loyalty between you can make a diagnosis of any form of dog cancer very difficult to hear. Our veterinarians and support staff are empathetic, compassionate and trained to focus on both the emotional and medical aspects of dog cancer. Should you witness any signs of cancer in your dog, we strongly recommend bringing your dog in for an exam immediately. Tumors in dogs usually appear as fleshy but solid lumps of tissue underneath a dog's skin and fur. Not all tumors will be outwardly evident. Sometimes you can see evidence of tumors and sometimes they are deep within the body of the dog. However, early detection and treatment are key to preserving your dog's health and quality of life. Therefore, it is important to periodically inspect your canine companion for any abnormal lumps and keep a semi-annual veterinary exam schedule. Owners most commonly find a tumor on their dog while petting or bathing. 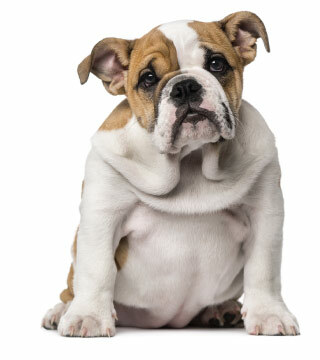 If you are running your hand over any part of your dog's body and feel a lump, bring your dog in for an exam with your veterinarian. Most likely, the veterinarian will want to do a needle aspirate to get cells from the tumor to get a diagnosis on the type of tumor. The diagnosis is helpful in determining what if any type of surgery and or follow up cancer care may be necessary. Some tumors in dogs cannot be visualized but can be palpated (felt with touch) by your veterinarian during the exam. For instance, an enlarged spleen may be palpable to your veterinarian but not visible to the owner. You can reference the list of canine cancer symptoms above to get a better understanding of what symptoms to be on the lookout for. Only a veterinarian can accurately diagnose canine cancer. This is why it is extremely important to come in for periodic wellness exams for your canine companion. During these preventive exams, your veterinarian can check your dog for signs of canine cancer. Treating canine cancer before it advances is key to successful recovery. There is a lack of consensus as to whether you must choose only one course of treatment, or if multiple treatment options can be combined effectively. Sometimes combining methods works well for dogs with cancer, but that may not always be the case as some treatments may interfere with each other and potentially cause unintended harm. These are important issues to address with the veterinarian at your next visit. If you suspect dog cancer, whether finding a bump or witnessing behavioral symptoms, please bring your dog in immediately. Our veterinarians and support staff will provide you and your canine companion with compassionate, comprehensive dog cancer care and support services. Although dog cancer can be overwhelming, you don't have to go through it alone. We are here to help ease your dog's pain and suffering and eliminate the cancer through the best dog veterinary care available.